Jeff is dying. Haunted by memories and grappling with the shame of his desires, he runs away to remote Scotland with a piece of experimental tech that allows him to enter the mind of someone in the past. Instructed to only use it three times, Jeff - self-indulgent, isolated and deteriorating - ignores this advice. In the late 1860s, Leonora lives a contented life in the Scottish Highlands, surrounded by nature, her hands and mind kept busy. Contemplating her future and the social conventions that bind her, a secret romantic friendship with the local laird is interrupted when her father sends her to stay with her aunt in Edinburgh - an intimidating, sooty city; the place where her mother perished. 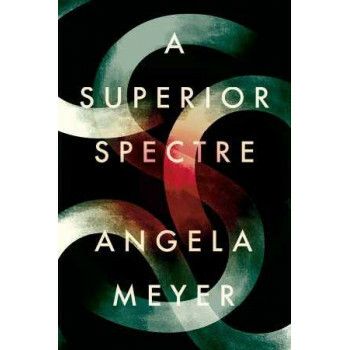 But Leonora's ability to embrace her new life is shadowed by a dark presence that begins to lurk behind her eyes, and strange visions that bear no resemblance to anything she has ever seen or known... A Superior Spectre is a highly accomplished debut novel about our capacity for curiosity, and our dangerous entitlement to it, and reminds us the scariest ghosts aren't those that go bump in the night, but those that are born and create a place for themselves in the human soul.